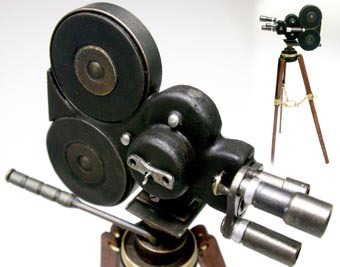 Eyemo Silent Movie Camera on Tripod. Key wind. Comes with copy of original instruction book. Height: 5 3/4"